My latest Vinyl Anachronist column for Perfect Sound Forever is now live! 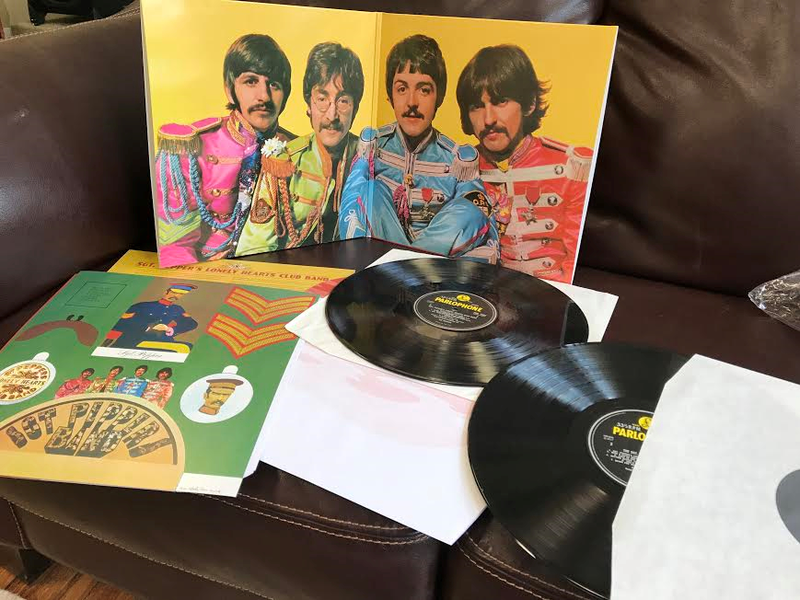 This one is my take on the 50th Anniversary LP pressing of Sgt. Peppers. You can read it here. My review of Sasha Matson's new LP, produced by Stereophile's John Atkinson, is now live at Positive Feedback. You can read it here. 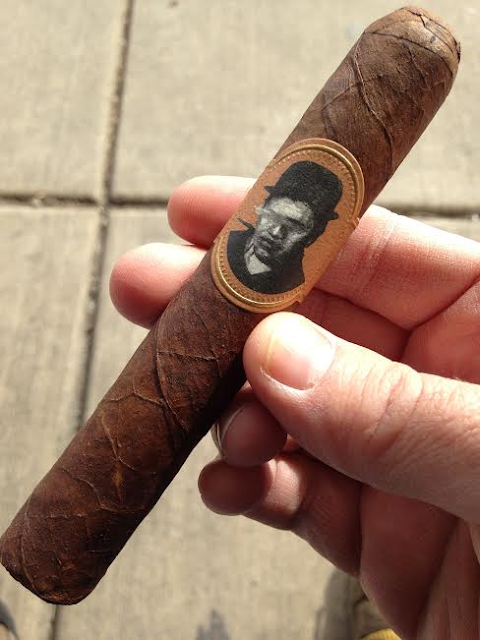 My latest cigar column for Part-Time Audiophile is now live! This one is about boutique cigars and how they will survive the upcoming FDA regulations. You can read it here. The week of "female vocals" continues since I have plenty of these in The Pile. But you know me. I get bored if I listen to the same type of music over and over. I like to mix it up. I like to stay engaged. 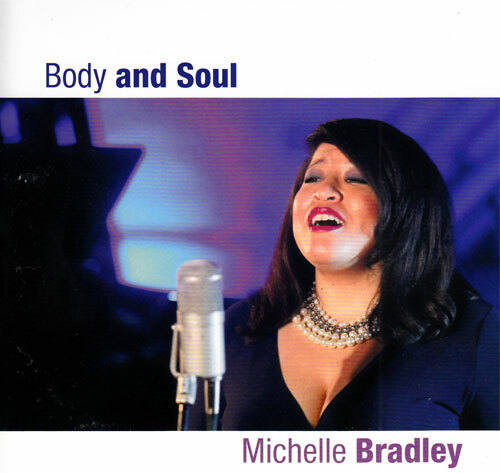 Michelle Bradley's Body and Soul is about as far from Kathy Sanborn as it gets, at least as far as contemporary female jazz singers and their recordings go. Sanborn's album was slick, polished, progressive and different, but it was also wrapped in a gauze that made it a little difficult to crawl around and explore. 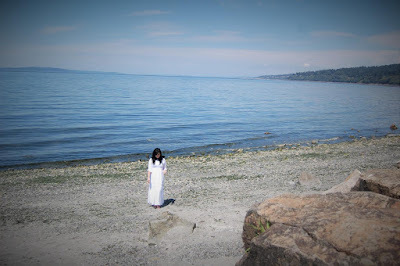 It sounded soft and indistinct. It was also intriguing, but I felt that the beautiful melodies could have been energized by a few more musical risks here and there. Ms. Bradley's new collection of jazz standards, Body and Soul, is razor-sharp, simple and straightforward. These are classic songs performed by a supremely gifted vocalist--and that's sort of the point. Listen to this voice everyone! Once you learn who Michelle Bradley is, the point of this album becomes obvious. She's actually a soprano with the Metropolitan Opera Company, trained by the legendary Marilyn Horne. She spent many years singing with the renown Wheeler Avenue Baptist Church in Houston. This resume suggests she has a big voice with plenty of range, and she can absolutely own a song like "Misty" or "Moonlight in Vermont" or "Key Largo." I suppose you can imagine the production meeting--hey, we have an singer from the Met and she's into jazz and she wants to record ten tracks from the Great American Songbook. It sounds a little perfunctory, and maybe a little too perfect, but most people would say yeah, sure, let's do this. The actual story is more interesting and has more to do with long relationships and past projects and a general love and respect for Bradley's wonderful and refined voice. So when someone popped with the idea of a Michelle Bradley jazz album, it was borne from a group of people who has been wanting to make this album for years. Her voice is effortless and dynamic, but the precision creates its own style. There might have been some trepidation in the studio, concerns that she wouldn't loosen up to project a true jazz attitude, but all of that must have vanished in a sea of wide, knowing grins once she started in with these tunes. Body and Soul, in all its simplicity, is a great idea executed well, something that might seem odd in the world of jazz. When I was first exposed to trip hop about a decade ago, I thought wow, if you squint hard enough this sounds like any other pop/r&b/easy listening/jazz with female vocals. Just remove the spacier elements, the programming, the DJ and his two turntables and the core of this music is pretty traditional. (You can probably tell I was listening to something like Supreme Beings of Leisure and not Portishead, but hopefully you get my point.) The first time I listened to Kathy Sanborn's Recollecting You, I thought the exact opposite--if you squint hard enough you can almost imagine the beeps and the quirks amid a vast and synthetic landscape. Kathy Sanborn's voice on this album, however, could have used a little less processing in this recording however. It's such a lush and dreamy recording, full of memorable melodies, that her voice should stand up, shake your hand and introduce itself to you. Here it seems to be floating down this river of sound, on a big inner tube, maybe a beer in its hand. I'm almost compelled to "nudge her out of the light" a bit and explain how more trip-hop elements could possibly turn this music into something bolder, especially if she's going to let someone in the studio tamper with her voice like this. Or she can keep singing traditional jazz with a modern gloss, and record that seductive voice so it's up-front and honest and persuasive. 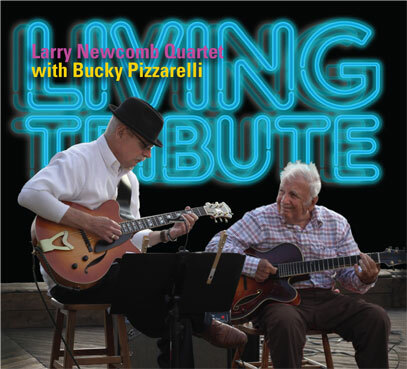 Now we have Bucky Pizzarelli in a similar role as elder jazz statesman in Larry Newcomb's new album. 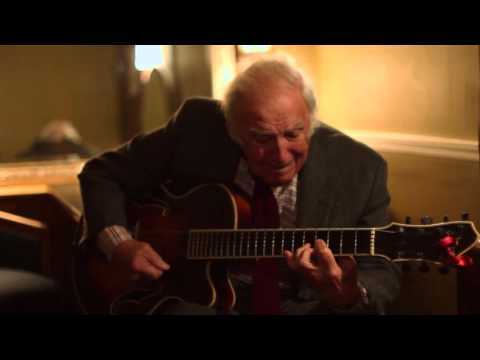 Bucky is now 91 years old, and he still plays his archtop guitar with that same flowing ease, with crisp phrasing and a sly sense of fun. Newcomb is obviously no slouch--many of his performances are about paying homage to other musicians who influenced him, and he always does a fantastic job with those subtle interpretations. Despite the fact that Bucky's very distinctive acoustic guitar work graces eight of these eleven tracks, I'm amazed at how Living Tribute stretches out and seems so varied--gentle ballads, blues, gospel and even a little bit of Grand Ol' Opry ("Gold Top"). Bucky isn't spotlighted through this mixture of standards and a handful of Newcomb originals--he's the foundation, the rhythm guitarist who keeps a study hand on the tiller so that Newcomb, pianist Eric Olsen, bassist Dmitri Kolesnik and drummer Jimmy Madison can explore and improvise--albeit modestly. It's a tight ship, and not because there's a 91-year-old guitarist on stage. He's holding his own. The only off moments occur when Leigh Jonaitis comes aboard to sing on "One Heart Ain't As Great As Two" and "Love Is Here," two Holcomb originals. Her voice is lovely and rich, but it's recorded with a lot of echo, a lot of reverb, and she sounds like she's isolated on a different planet, or maybe the same Laurel Canyon bathroom where Jim Morrison sang "LA Woman." Lay off the knobs, guys. 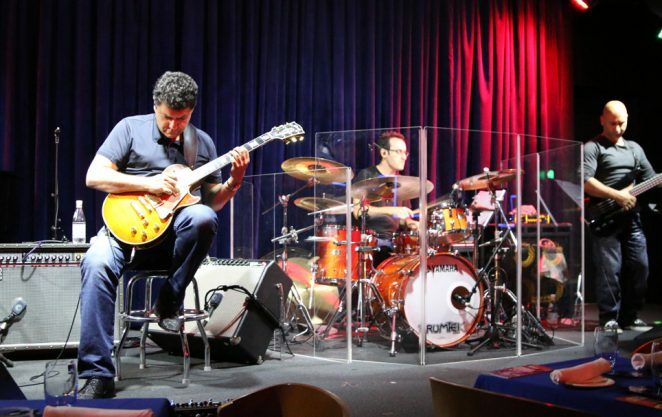 But other than that, Living Tribute is a smooth, precise and tempered homage to a one-of-a-kind jazz musician. What does this remind me of? Hmmm. 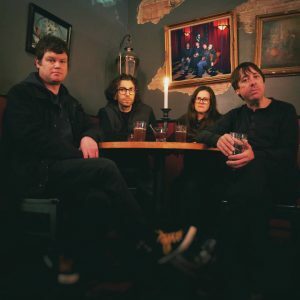 Transient Songs is a Seattle-based band that classifies themselves as psychedelic, but I hear something more specific and provocative in their somewhat dreamy and heavily textured indie pop. 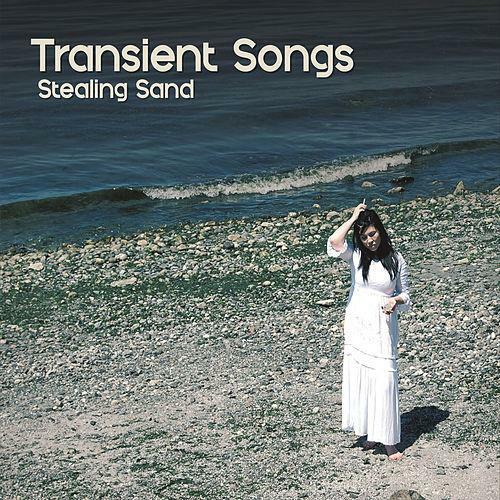 Their new album, Stealing Sand, is easy on the ears, sunny even, a reminder of languid days on the beach listening to new types of music take hold and blossom. Pinpointing the timetable of those exact days is somewhat elusive--perhaps the mid '90s? With so much of today's music focused on electronic and sampled creations full of sharp corners and spurious noise, Transient Song is a band full of the soft contours so typical twenty years ago, with compact songs full of unusual chord progressions and a deep-seated affection for long-ignored pop trends. Jon Frum and Michael Shunk specialize in a two-guitar approach that blurs the lines between rhythm and lead--both have different yet complementary styles that sound like a calmer version of what I heard on Thurston Moore's epic Rock and Roll Consciousness last month--tight, uniform and logical. Frum's vocals are equally relaxed, which gives these ten songs a deliberate feeling, an obvious beginning and end. 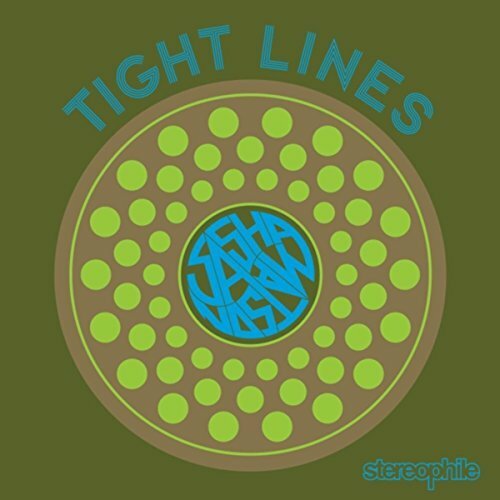 The band, which also includes bassist Dayna Loeffler and drummer Craig Keller, does flirt with psychedelia as advertised, but only for brief periods. That gives the music an edge that separates it from the mindlessly happy--pop groups usually don't performed songs titled "Shoppin' for Coffins" and "Drug Dreams"--but you won't mistake Stealing Sand with White Light, White Heat. If anything, the band reminds me of Ultra Vivid Scene or perhaps Afghan Whigs. I wound up enjoying this album more than I initially thought--mostly because it takes me back to a time when a simple four-piece rock band could conjure up moods and ideas by merely being themselves and playing songs that come from the heart. This is the second time in a week I've declared that an album "grew on me," and a lot of that feeling was reinforced by sticking this CD in my car and driving around all week in its good company. 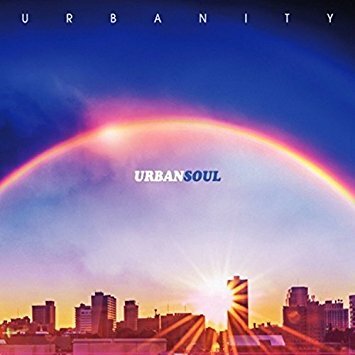 From the "judging a book by its cover" file, entry #4,117: if you're going to name your group "Urbanity" and your album "Urban Soul," shouldn't it be a little more...funky? When I first received this CD, I felt a little excited--maybe this is some rambunctious funk full of attitude and groove, I thought. I slipped it into the CD player and out came some very mellow, very smooth and very "lite" jazz. I was hoping for a little There's a Riot Goin' On, and I got something a little closer to G Force. Maybe that's a little harsh. Guitarist Albert Dadon, aka "Albare," first teamed up with keyboardist Phil Turcio 27 years ago, and there's quite a sense of musical synergy between them. Or as Turcio explains, "Everything I throw at Albare comes back as if I would have played it myself." That creates a genuine seamlessness in these ten tracks, and Urbanity sounds like a four or five piece outfit instead of a duo. (Turcio also handles all of the synthesizer and percussion programming.) 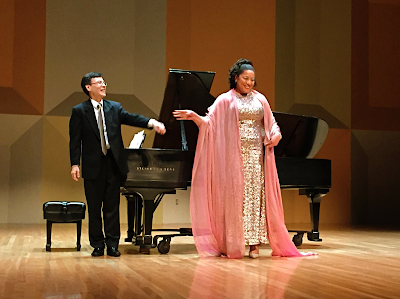 Both Turcio and Albare are genuinely talented performers and really know their way around their respective instruments, but they are unusually generous with each other as well. The improvised solos are there, but they are calm and refined and they serve as an invitation for the other partner to join in whenever he's ready. Another interesting thing about Urbanity is that these two gentlemen are from Australia--Melbourne to be exact--and perhaps their idea of "urban soul" is more akin to urbane than gritty. So while the overall effect can seem tame at times, there are exotic influences floating quietly through the performances such as Latin rhythms and even a nod to the Rolling Stones with an interesting cover of "Angie," which is done quite well with all of the original longing preserved. Urban Soul did grow on me, despite the initial disappointment of having to critique more lite jazz. But here's my recommendation--get rid of the drum machines and the synthesizers, add a killer rhythm section and let these two musicians deliver some real soul, all scuffed up and full of passion. That's an album I'd love to hear. Ronny Whyte is unabashedly old-school. 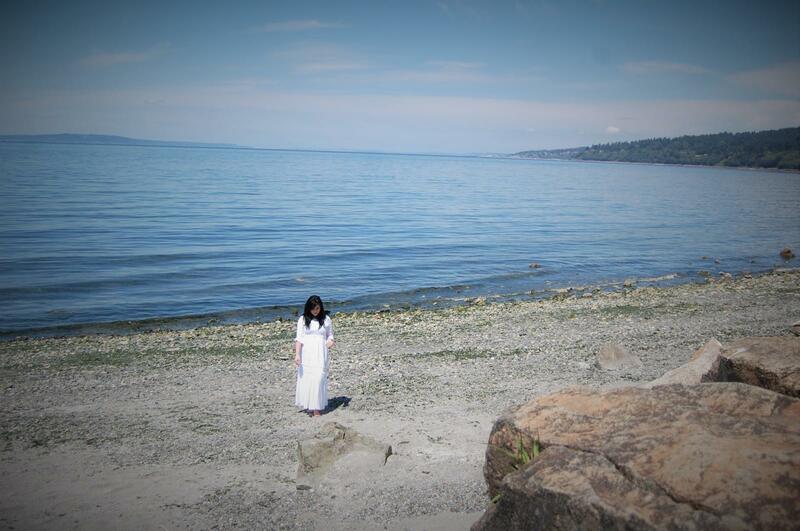 This singer and pianist has one of those big, clear voices like Joe Henderson or even Sinatra. He sounds like Vegas, and not in a bad way. He's seasoned and he knows how to sing a song as if it's an outtake from his autobiography. You know this guy. You've heard him before, even if you've never heard of him before. I didn't know about Ronny Whyte before I heard his latest CD, Shades of Whyte. But he sounds very familiar in a refreshing way. This collection of standards and originals doesn't break new ground as much as it sweeps the floor and puts on a nice coat of wax. It simply has that smooth, almost perfect delivery that comes from decades of performing in all sorts of jazz venues. That might not be everybody's thing, and in the last few months I've made it clear that I still love a little innovation in my jazz--the genre means more to me than merely dusting off some old tunes and seeing if you still got it. Whyte obviously still has it--there's a youthfulness in his voice that seems at odds with the man himself. (I'm not knocking him for his age, but some of these performers --Sinatra was one--aren't afraid to show how weary they are and how tough it is to manage these performances at this level.) Whyte still sounds enthusiastic and in love with songs such as Johnny Mercer's "I'm Old Fashioned" and "Dancing in the Dark." 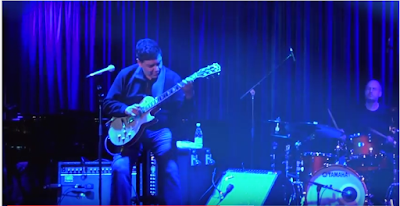 What elevates this particular album is the fantastic musicians that share the stage with Whyte. 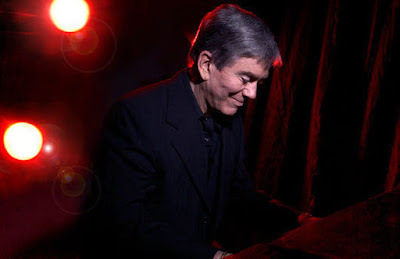 His piano is smooth and energetic, but the rest of the band--bassist Boots Maleson, guitarist Sean Harksness, drummer Mauricio De Souza, trumpeter Alex Nguyen and Lou Caputo on tenor sax and flute--play fast and lively, so much so that this album speeds by like a gentle breeze. Sound quality is fantastic as well, with exquisite warmth and a tangible sense of camaraderie among the performers. If you're in the right mood and you have the proper cocktail in your hand, Whyte will make perfect sense to you.